Moore's Law may be coming to an end due to the physical limitations of silicone and other elements, but a research team may have found a solution: valleytronics. To sustain the growth of the power of microchips and keep Moore’s Law going, semiconductor engineers are exploring the path of “valleytronics”. As Gordon Moore predicted, the number of transistors in chips have doubled every two years. With them, the power of processors in our devices doubled. For five decades, conventional materials were more than enough for chipmakers to continue building more powerful processors and keep pace with Moore’s law. 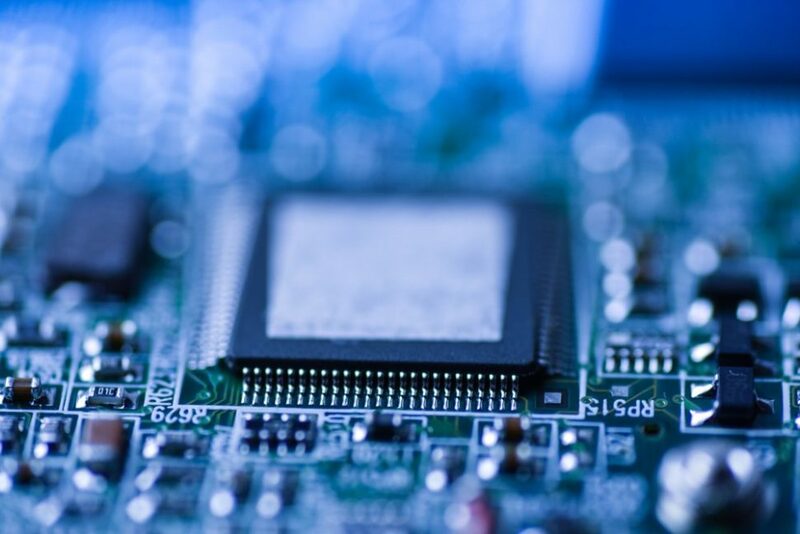 Many semiconductor experts, however, expect Moore’s Law to end soon. This could slow down the growth in calculating power of computers. Will electronics and technology in general stagnate? Possibly, but there are innovators trying to overcome these obstacles. Intel is now producing 14nm transistors (1 nanometer = billionth of a meter) and intends to break the 10nm barrier next. But how far they could go with this process of transistor design? The chip industry is looking for silicon alternatives, new materials, and techniques to pump new blood into Moore’s Law. But, many of these chips are just getting too small for us to improve on any further. One such promising solution to this problem is “valleytronics”. A new branch of condensed matter physics, called valleytronics (valley + electronics), studies the ability to use the charges of electrons for data storage and processing. Put simply, “valleys” in crystalline semiconducting materials are zones of varying electric charges of electrons. Like an on/off light switch, scientists think these energy valleys can act as gates that allow binary codes (packs of 0s and 1s) to pass through, which is the same principle as transistors. The best part is, these transfer rates are extremely fast. Much faster than conventional transistors. The smaller the switches, transistors, and valleys, the more a chip can pack and the more data it can process. The idea of valleytronics is to develop ways to control electronic charges to encode and process data using different pulse values that fit different valleys. Two-dimensional materials, like graphene and other nanomaterials, are the main target of semiconductor researchers in terms of valleytronics. Now, materials scientists have reported about a candidate valleytronics material. A study by an international team of researchers, led by the U.S. Department of Energy’s Berkeley Lab, shows that “tin(II) sulfide” has valleytronic properties. “We show a new material with distinctive energy valleys that can be directly identified and separately controlled. This is important because it provides us a platform to understand how valley signatures are carried by electrons and how information can be easily stored and processed between the valleys, which are of both scientific and engineering significance,” said Jie Yao, lead author of the study. According to researchers, tin(II) sulfide (SnS), which is a nano compound of tin and sulfur, has high light selectivity at room temperature. Unlike previously investigated valleytronic materials, the energy valleys in Sns don’t require extremely cool temperatures to manipulate. That said, with valleytronics, we’re still stuck with binary computing systems that no matter how many transistors they work on, we are limited. Quantum computing, on the other hand, would introduce atom-size transistors, and, more importantly, bypass conventional computing principles altogether. How could quantum processors make valleytronics and other transistor design technologies, and Moore’s Law itself, obsolete? How could they not?